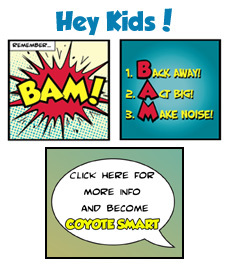 Coyotes are permanent residents in our province, so seeing or hearing them from time to time is not unusual. They have become part of the ecosystem as a top-line predator. Nocturnal by nature, coyotes tend to be most active and vocal at night. Coyotes are normally shy and fearful of people. When this behaviour changes and they lose that fear, there is cause for concern. 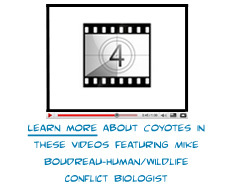 A coyote's loss of fear of people, called habituation, is nearly always caused by direct or indirect feeding by people, or by the presence of nonthreatening humans in coyote habitat.